The galaxy is under siege by a horde of mindless beasts called mutants mootants. The only way to save the day is to rescue cows that are floating acorss the cosmos. Clothes are clearly optional, because the lead character is naked as the day he was born. 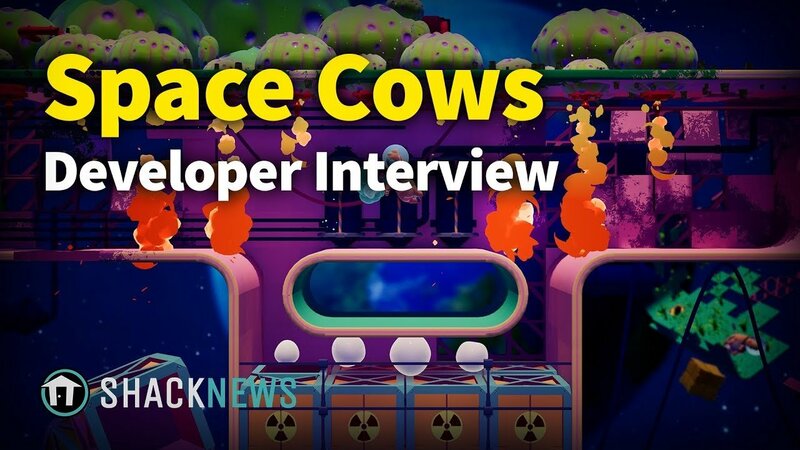 That's the premise behind Space Cows, a new twin-stick shooter from the folks at Happy Corruption. To learn more, Shacknews spoke to the studio's own Grzegorz Prusinowski. "It's basically like a naked Dark Souls," Prusinowski told Shacknews. "You fly naked through space milk station, fight mootants and save cows. "There is a lot of physics involved, as you can expect from a space milk station. The enemies are physics-based, so we can use physics. Push/pull them to hazards, basically, to your advantage." Other topics touched on in the interview includes the game's humor, gameplay elements, and Unreal Engine. For more interviews like this, be sure to subscribe to Shacknews and GamerHub.TV on YouTube. Space Cows is coming soon to PC.